The two-month, 100% online Chocolate Making from the Bean Program is about how to make your own chocolate from scratch from dried cocoa beans. The curriculum covers the entire chocolate making and manufacturing process to produce chocolate from which you create your final products. How do we teach chocolate making online? or you also have the option of adding the Business Plan for Chocolate Makers program module to build out your business plan. $600.00 US (US & International Residents)/CAD (Canadian Residents – plus GST by province) for the Chocolate Making From the Bean Program PLUS the Business Plan for Chocolate Makers Program at $145.00 - a $50.00 savings. This also allows you another four weeks in the Chocolate Making From the Bean curriculum for extra study and research while you take the Business Plan for Chocolate Makers curriculum. Note: The registration fee does not include chocolate which will be needed to complete the Understanding Chocolate Flavor and Sourcing Cocoa Beans Modules. This chocolate could cost approximately $200.00 US. Ecole Chocolat STUDENTS OR GRADUATES DO NO REGISTER HERE - instead click on LEARNING CENTRE And login to your current program or if you are a graduate, login to the Graduate Centre. Once IN your current program or Graduate Centre scroll down the center table of contents to the last module: Continuing Education. You will find the program overview link - click on that. When is the chocolate making program offered during the year? We offer sessions of the program starting in March and September each year. Is there a restriction on the number of students you take each session? Even though the curriculum is online, we do cut off registrations when we reach the maximum number of students our instructor and online tutor feel they have adequate time to be able to work with properly. TO ENSURE A SEAT IN THE PROGRAM, check the program date above to see if the current session is still open. When the program is full, we change the program date to the future session. Develop a resource list for chocolate making equipment and suppliers. 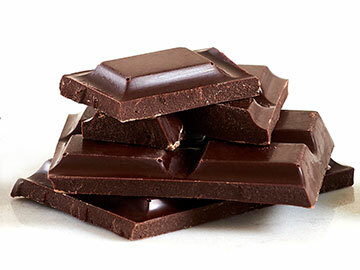 Research current chocolate manufacturers to gain an understanding of the scope of the industry. Understand chocolate chemistry and flavor as well as the ingredients and processes that contribute to taste. 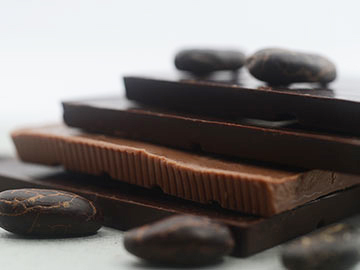 Conduct a formal series of tastings in order to develop your chocolate tasting palate. Increase your knowledge of cocoa beans and their sourcing from specialized distributors and agents. Understand cacao bean post-harvest processing best practices and steps to ensuring quality and traceability. Want to get your hands dirty? We include an Optional Exercise in sensory evaluation of cocoa beans. 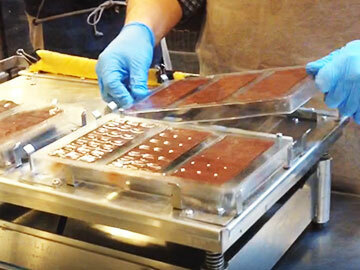 Understand the processes and machinery needed to turn dried cocoa beans into beautiful chocolate. Gain the knowledge you need on chocolate crystallization, tempering and best manufacturing practices. Want to get your hands dirty? We include two Optional Exercises for those students who already have chocolate making machinery or those who prefer to buy machinery to use during the program: a) roasting, cracking and winnowing cocoa beans and b) grinding, refining and conching your chocolate mass. Understand the financial and human resources needed to run a chocolate-manufacturing business. Make informed decisions on finding your location, equipping your facility and planning for production. How do we teach chocolate making online? Click here for a more information about our learning experience. Click here to read more about our instructors and tutors. Students will be assessed by completion of assignments throughout the program. Students completing the program with a score of 70% or more will receive an Ecole Chocolat Certificate of Achievement. “In terms of fantastic curriculum and a wealth of excellent content with opportunities to get questions answered (both with our tutors and with the sheer volume of resources presented), yes, my expectations were met. This course is comprehensive and offers both theoretical and practical concepts to round out a working knowledge of chocolate making and also launch a chocolate making business! I was very impressed. Absolutely fabulous course and content!" Not quite ready to register? If you would like to receive periodic program updates, click on the following button. You can cancel from the Chocolate Making from the Bean Program up to three days before the start of the program. A refund of your registration fee, minus a 10% administration fee, may take approximately 10 working days to process. Because our programs are usually full, and in order to make sure all students are committed, on the start date of your program your registration fee becomes non-refundable and non-transferable to another session (except in extraordinary circumstances).